Hello there Leo Listeners! 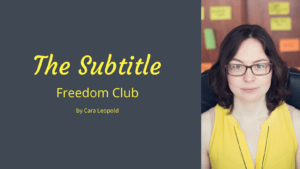 It’s Cara here from Leo Listening where I help advanced English learners fall back in love with their favourite films and TV series by teaching them how to break free from the subtitles. I’ve been doing some videos recently which are about some listening fundamentals. They’re not just to help you break free from the subtitles, the goal is really to help you understand anything you want to understand in English. They’re fundamental points that are true and that are going to help you out. 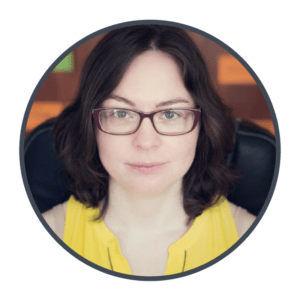 So one of the issues that I’m addressing today is a popular myth in the domain of listening skills, which is this idea that you can just passively listen to loads of English and that will improve your listening skills. So if you get enough volume and you listen for long enough, one day everything will magically click and you’ll understand it all. I can totally see the temptation to believe in this idea of passive listening. Maybe it works for some people. It’s obviously popular because the idea is that you can just put on a podcast or the radio in the background and soak everything up like a little sponge, with no effort required. Everyone wants to buy into and believe that idea because we’d all love to reach our goals and do hard things with the minimum of effort, wouldn’t we? It appeals to us – this idea that it’ll be just like in your first language. Once you do enough passive listening, you can listen to anything you want and it’ll all be effortless. There will be no more awkward conversations with native speakers where you don’t understand why everyone finds that joke so funny and you’re a bit lost. No more subtitles when you stick on a film, no matter what film, and all that with 0 effort required. It’s so tempting! Who wouldn’t want that? The thing is though, I’ve found that this passive listening doesn’t work. Well not for most people anyway. I’m assuming that you have a job, you have a life away from learning English, possibly a family. You probably also like to take some time to sit around and relax sometimes. You also need to eat and sleep and things like this. So if you’ve got a normal life, you don’t have the time to do hours and hours of passive listening every day. It’s hard to fit it in. 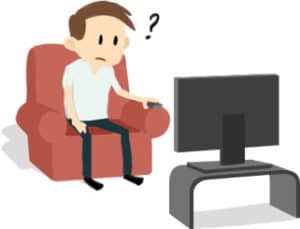 I know that there are teenagers in Scandinavian countries like Norway listening to hours of TV in English every day when they get home from school. But this is my question: are you a Scandinavian teenager who has hours a day to dedicate to listening to English? No! Probably not! You probably can’t lock yourself in your bedroom from 4pm every day when you get home from school and just listen to hours of English. It’s just not feasible if you have a life. So what you need to do, because you can’t do 20 hours of passive listening a day, is you need to get a bit more efficient with your listening that you’re already doing. You need to do something with what you’re listening to. Ultimately, improving any skill or any area of life involves some kind of implementation, so actually doing something, trying something, getting feedback on whatever it is you’re doing, and then reflecting. That’s how you improve. So when you just passively listen to hours of English, you’re not doing any of these things. 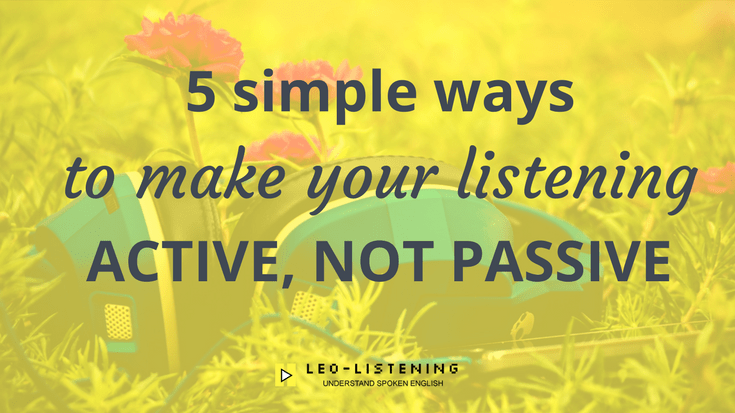 I’m going to give you 5 practical steps that you can take before you listen to anything, to be more active in your listening and your learning so you’re not just passive. Before you even start listening, you can do some preparation work. If you’re going to listen to a podcast, you can read the show notes before you start. If you’re going to watch a video on Youtube, you can open the description and read that first. If you’re going to watch a TV series, you can read a review of it first. If you’re going to watch a film, you can watch the trailer. This is just to prepare you so you’re not too shocked and you’re not too lost when you start listening. It’s just a bit of prep work. Obviously after that, at some point you’re going to have to listen. So listen to what you’ve planned to listen to. Get an idea of what’s going on. Don’t worry too much about what you’re missing, but do take a bit of time to reflect and evaluate. How much did I understand? Was this something I understood 50% of? 20%? 80%? Ok, was this episode harder or easier? Was this character easier to understand today, or was it worse? Now what you can do is go back in, choose a little section that you found difficult. Maybe a scene from a TV series or an answer to a question in the podcast. Something like this – a section. Then you can practice writing it out. Here, what works best is doing very short sections. Because you need something that you can hold in your memory. So five seconds, 10 seconds of something that was a bit tricky. So write it out. That’s doing a dictation. You can also try pronouncing it like the person you heard pronounced it. Then after, if you’ve got a transcript or subtitles, you can check your transcription with what the person really said. Or “I missed this group of words”. Or “Oh, I don’t know this expression”. This is where you can take your time to make a note and reflect on the difference between your transcription and the original. So you might need to write the new expression in your vocab book. You might need to really try pronouncing the words you missed like the person who said it, to get really close to that original pronunciation, so it’s easier to catch it the next time. Then you can extend the activity and use more of your English skills after you’ve done the listening part. If you’ve listened to a video or a podcast, you could leave a comment on the video or on the podcast. You could use the new language that you’ve learned in some way the next time you speak or use English. You could write about what you listened to in your journal if you like journaling. You could post in a Facebook group. Perhaps you watched a particular TV series or you watched a film you enjoyed. There are lots of groups on Facebook for fans of particular series, or fans of TV and films in general. So you could maybe start a discussion in the group about what you watched, or leave a review of what you watched. If you’re working with a teacher, you could talk to your teacher about what you listened to. There are lots of possibilities for extending the listening activity into other areas of English like writing or speaking. But the thing is, you always need to go back. You always need to repeat things. Did I remember the new words? That section that I found hard to catch – can I catch it more easily? Can I repeat it more easily? You can also come back a couple of weeks down the line and listen again, see how you feel, and notice what’s changed. For me, those are the steps that you need to be willing to take to go beyond passive listening when you don’t have 20 hours a day spare just to listen to English. Because let’s be realistic, most people don’t. You only need to do some practical things. Those are my suggestions. There are other things you can do. Some listening material comes with things like comprehension questions. Those are ok, but they don’t really teach you much about what you misunderstood or what you didn’t catch. You can sometimes just guess the answer. So they can help you to give you a bit of structure, but they don’t actually help you to learn anything about your listening. That’s why I prefer the other techniques that I mentioned here. Please let me know if you’re going to try them. Are you doing something like this already? 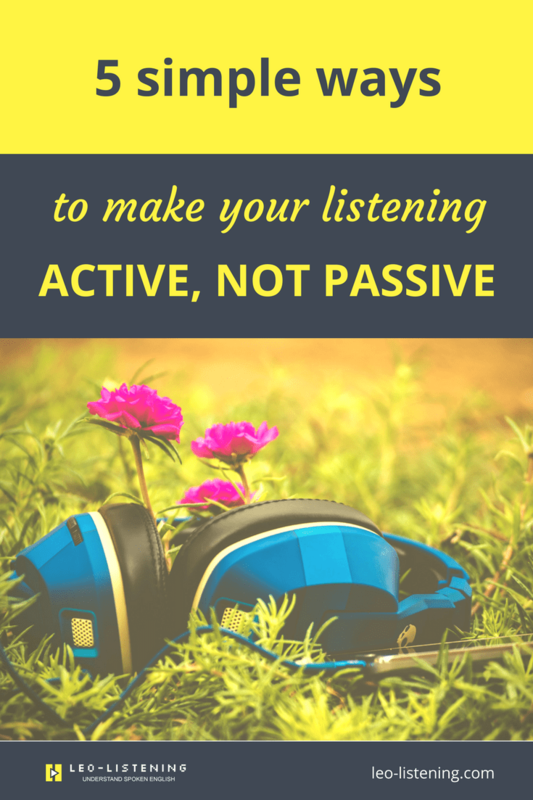 Are you a passive listening fan? Maybe you disagree with me and you think passive listening works. That’s fair enough. We can talk about it in the comments. In any case I love hearing from you, whatever your views may be. Thanks very much for reading and I’ll see you again very soon. Hi Yassine. Thanks for your kind words. I’m glad the article helped. To improve my listening skills, I listen to podcast every day. I also listen to the bbc 4. What is interesting When I listen to the bbc, is to try to figure out what they are talking about, without knowing before the subject. You really need to focus. In a certain way that’s active listening. What I find interesting in some podcasts is that they paused and they explain a new piece of vocabulary. In my learning english process, I found out that all skills are dependant of each other. For instance, while improving my pronunciation, I’ve also improved my listening skills. By reading books I come across new words and new expressions and so it’s more likely that I can recognize them while watching tv or whatever. I like the idea to really focus on a short passage. What is difficult for me, is to prepare the exercice: to find the right sequence that will make me improve (to have a variety of speeches to listen to) and to find the transcript, and to do that on a daily basis. Anyway thanks for your articles. I found them really interesting. I’m looking forward to reading the next one.